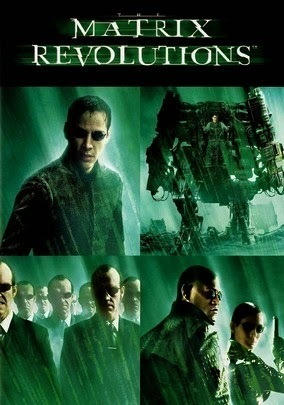 The conclusion to the epic Matrix trilogy should have been the best of the three films. Everything was set up perfectly leading into a potentially exciting conclusion, and most of the film went as expected. There was terrific action and science fiction drama, some amazing special effects, and the legend of Neo continued to grow, right up until the conclusion. The end of the film went from extremely predictable to ridiculously strange and confusing. While I'm sure the ending made perfect sense to the Wachowski's, it made no sense to me, an avid science fiction fan and movie critic. This being a review, means I can't go into specifics, but the ending was absolutely horrible and puts the whole series in a different light. The most disheartening part of this whole thing is that until that point, the Matrix has been done to near perfection. The story was solid, the action was out of this world, the special effects were amazing, the casting was flawless, and just when the trilogy should have reached it's apex, it all comes crashing down. Once again the cast is terrific and the story is great, which is why I don't understand how they could give us an ending like that. I thoroughly enjoyed the Matrix trilogy and it will certainly hold it's place in cinematic history, but as a fan I was horribly disappointed by an ending that came out of nowhere and left the audience scratching it's head.